Estimated Shipping Times From Michigan. 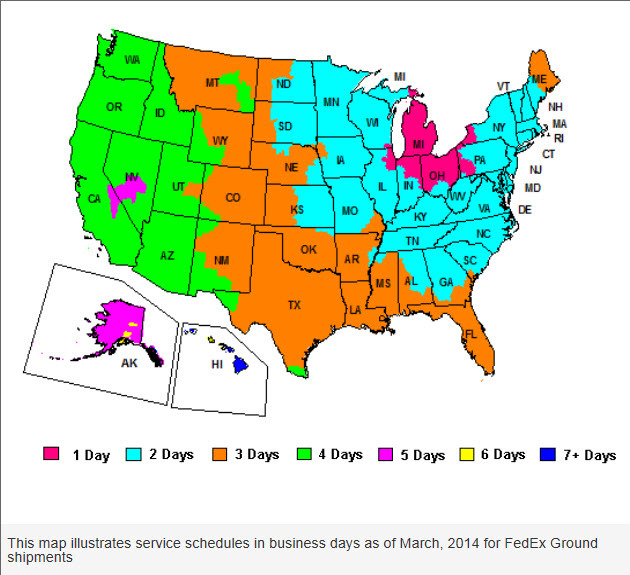 We ship via FedEx Ground from Michigan for Contiguous USA. For all other destinations such as Canada, Hawaii and Alaska, we ship via USPS with a delivery time of 6 to 10 days. Express services are available but are expensive as The ZOO® ships at 13lbs and over 48″.